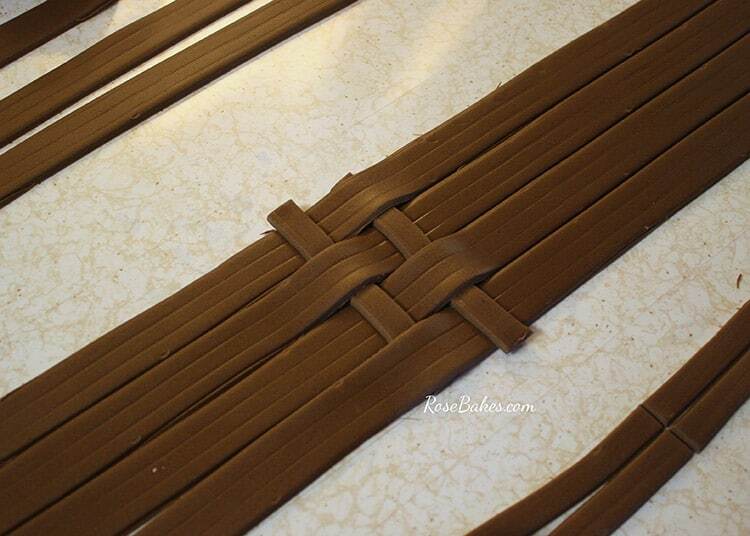 Next, lay back the alternating long strips and lay down a short piece there. Fold them back over. Repeat these steps until you reach the end. It may seem tedious, but it goes really fast once you get going! Starting in the middle again, repeat the entire process working out toward the other end. 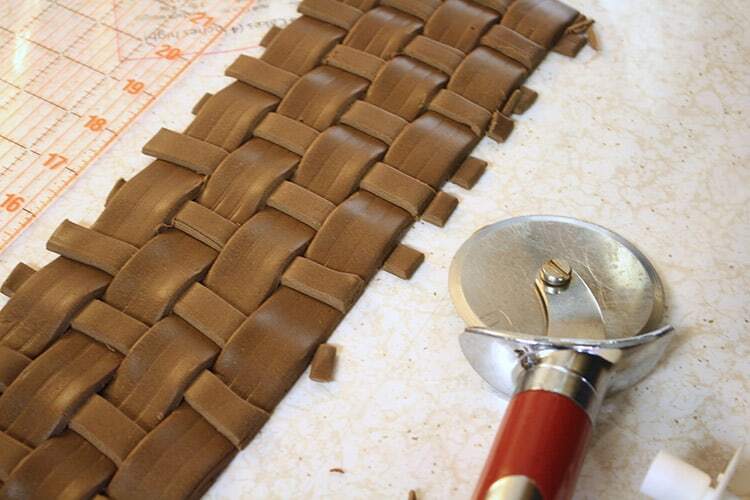 Once complete, trim both the top and bottom edges so that you have a smooth finish. 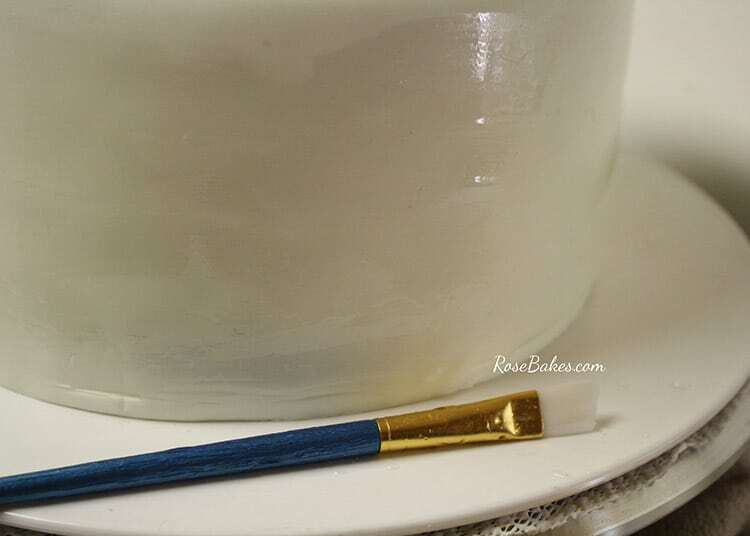 Paint a thin coat of sugar glue around all the sides of your cake to prepare to attach the basket pattern. 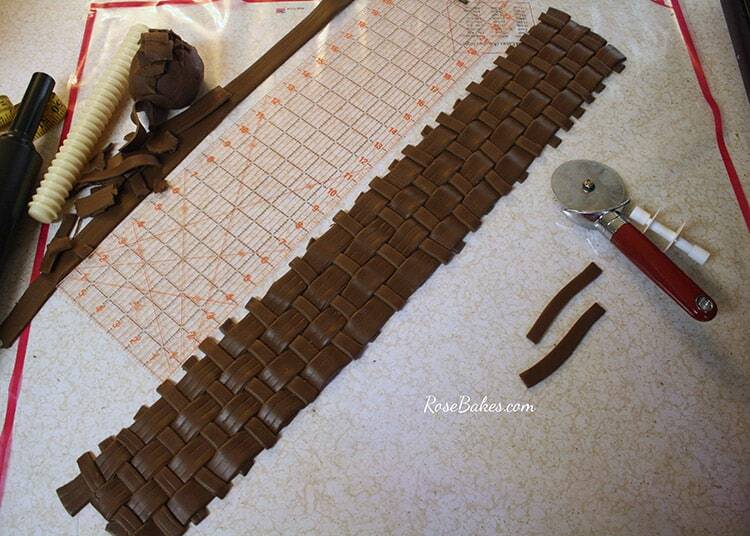 Using a small rolling pin as the center, roll up the entire panel of basketweave. At this point, my fondant is fairly dry and not at all sticky, so I roll it up without any risk of it sticking to itself. 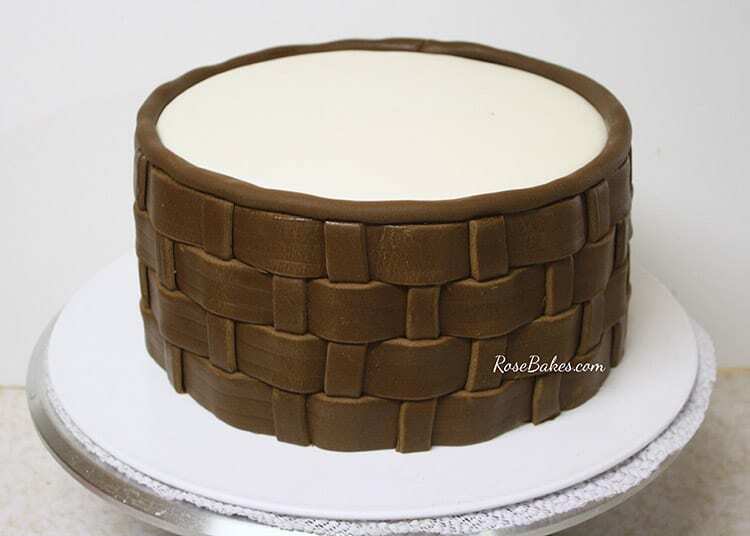 If your fondant is sticky, you may want to lightly brush it with corn starch to prevent it from sticking to itself. 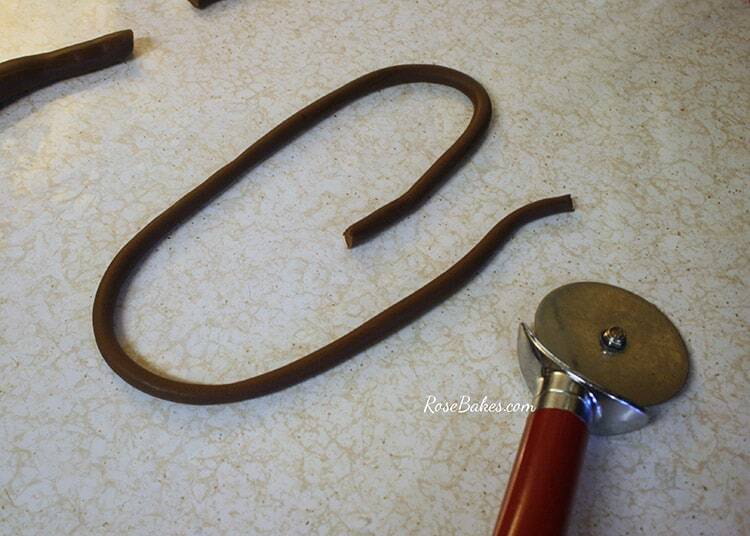 Stand the roll up right and pressing gently, roll it around the cake. 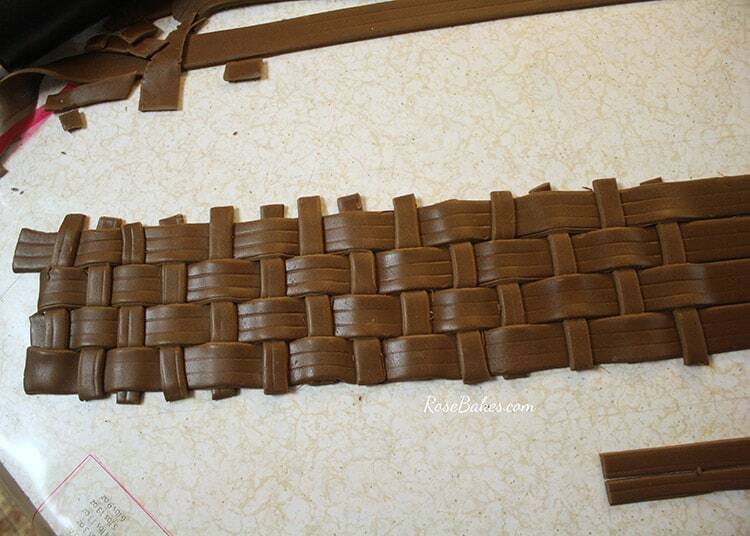 With the sugar glue already applied, it should easily stick. 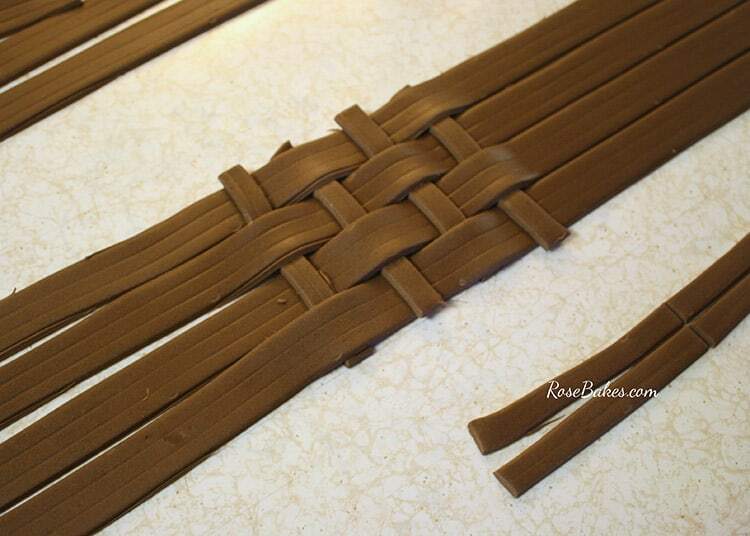 Be careful to make sure the bottom of the basketweave stays level with the bottom of the cake. 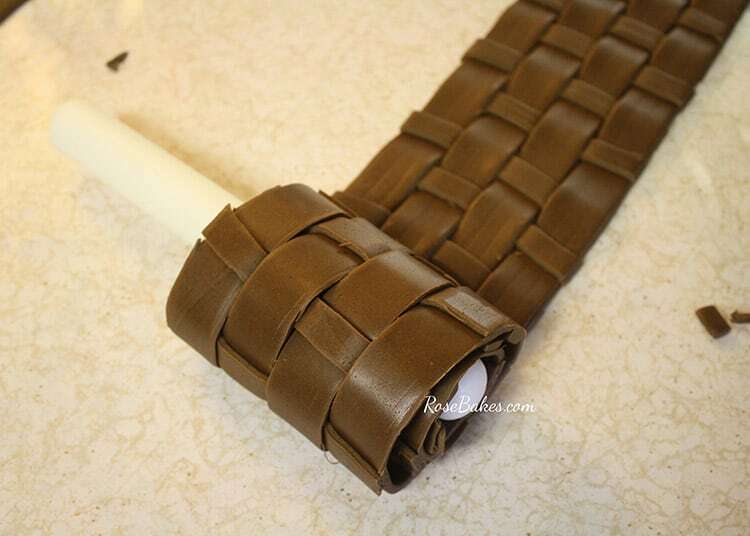 Trim the ends to fit and make sure to straighten any pieces that have stretched or become distorted in rolling it out. 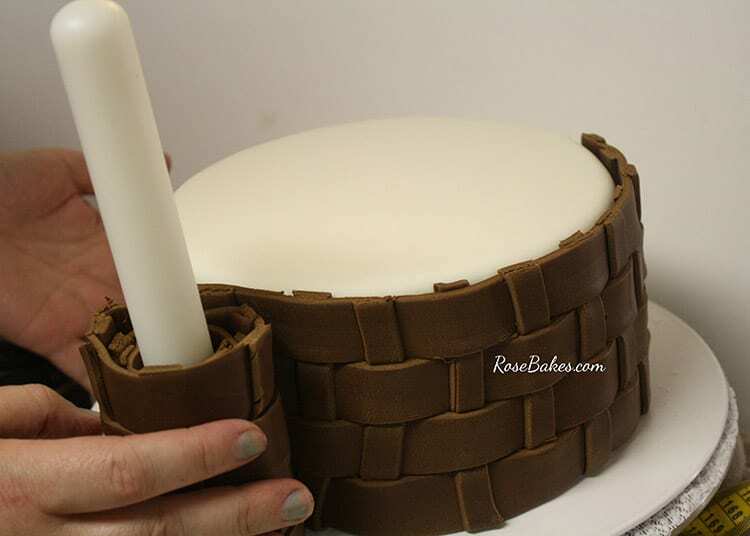 Roll out a rope of fondant the same length as the basket panel (or diameter of your cake) to cover the top edge. 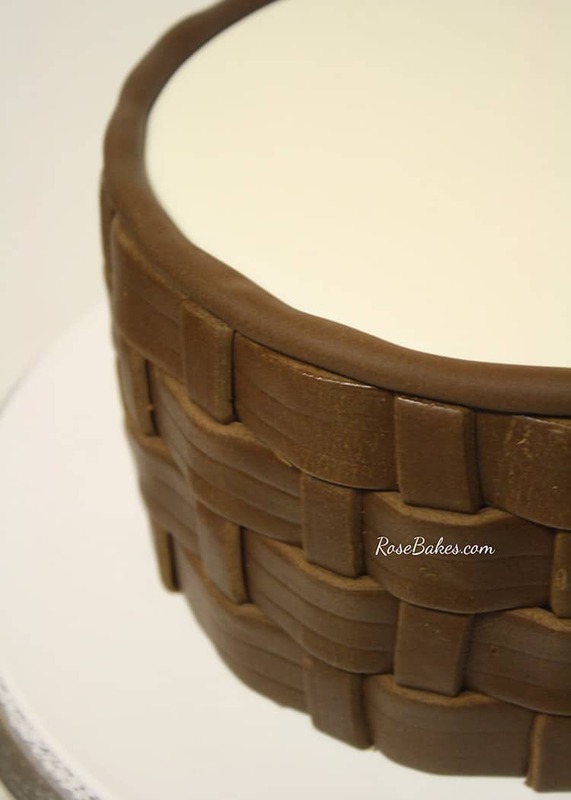 Using a small amount of sugar glue, attach the rope to the top edge to finish the basket. It’s difficult to see in this picture, but I also lightly brushed sugar glue all over the surface of the basket and gently press all over. I did this for two reasons. 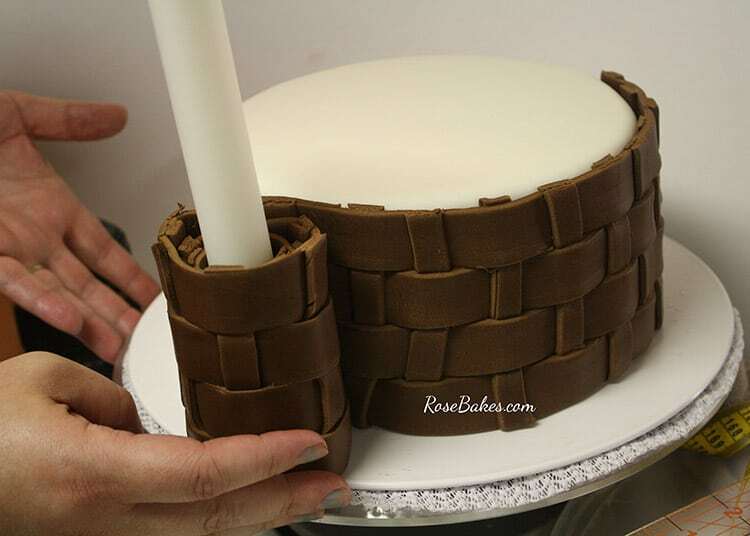 First to make sure all the pieces were adhered to each other and to the underlying cake. Also, I liked the finished look to be a little shiny versus dull. To finish this tier, I added a banner with the child’s name. 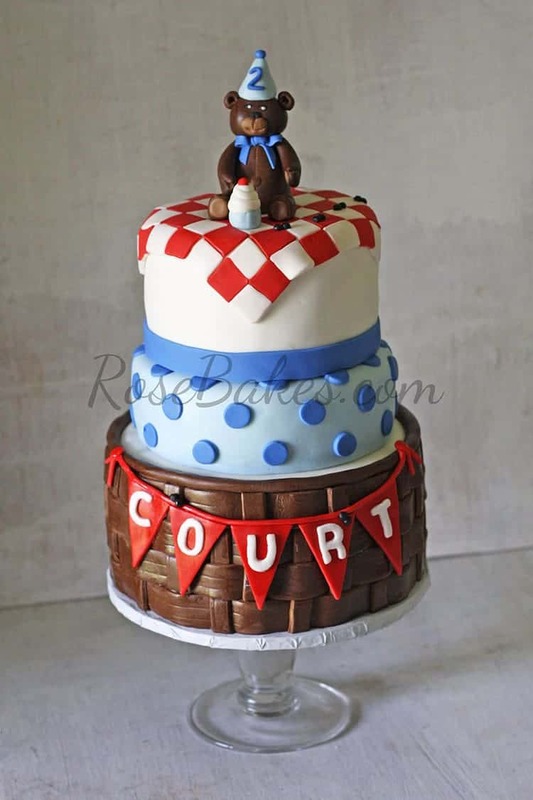 I then stacked on a mini second tier covered in polka dots, then a top tier that included a red and white checkered blanket, a tiny cupcake, and a fondant bear. Learn to make cute animals like this in Cake Topper Techniques: Fondant Animals (a Craftsy Class). If you have any questions, leave me a comment and please pin this post!